The heart of any home, the kitchen is the room where you likely spend most of your time. For this reason, it should be an area you enjoy being in, free from clutter and with plenty of worktop space, whether you want to create four course gourmet meals or a simple jam sandwich! We’ve put together a list of the best space saving ideas for your kitchen, so you can make the most of this busy room! Any free wall space is wasted space if you still have clutter on your kitchen worktops. Why not install a magnetic strip and use it to house your knives? Add a rail for kitchen towels or tea towels and a few rails with s-hooks to allow you to hang your most-used utensils. These strips can be cut to any size, so you can choose your most open wall and fit it there. If you have a nice open kitchen, you might consider adding a central island to the room. This is something which many of our customers ask for when we design a new bespoke kitchen for them. Islands are a brilliant way to add more workspace, you can integrate a sink and drainer, and you might even choose to relocate your oven and hobs here. Extra drawers and cupboard space is also very helpful. If you have a very small kitchen, those door knobs and handles on your cupboards will be taking up space without you even noticing. Swapping your cupboard doors for those with integrated handles will give you an extra few centimeters of space, which will make all the difference when you have guests! Another often unused area is the ceiling – a hugely overlooked space. Add a rack to hang bulkier items such as saucepans and colanders and keep the cupboards free for items that are easier to organize or stack. It is also a wonderful feature that guests will be sure to ask about, breaking the ice when they visit for the first time. Wondering what to do with that tall, thin cupboard in your kitchen? 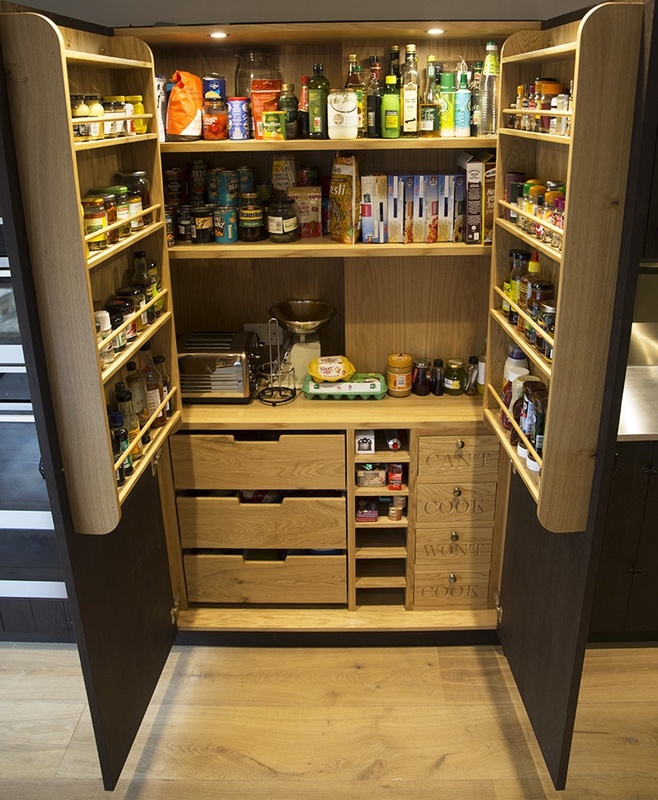 Turn it into a pullout pantry! This ingenious idea makes use of all the space, while making it easy for you to reach the items at the back. Its also the perfect place to hide your chocolate stash – kids will never find it! If you are thinking of changing your wall cabinets, make sure they stretch all the way to the ceiling. Having a blank empty space at the top of cabinets is a waste, especially in smaller kitchens. 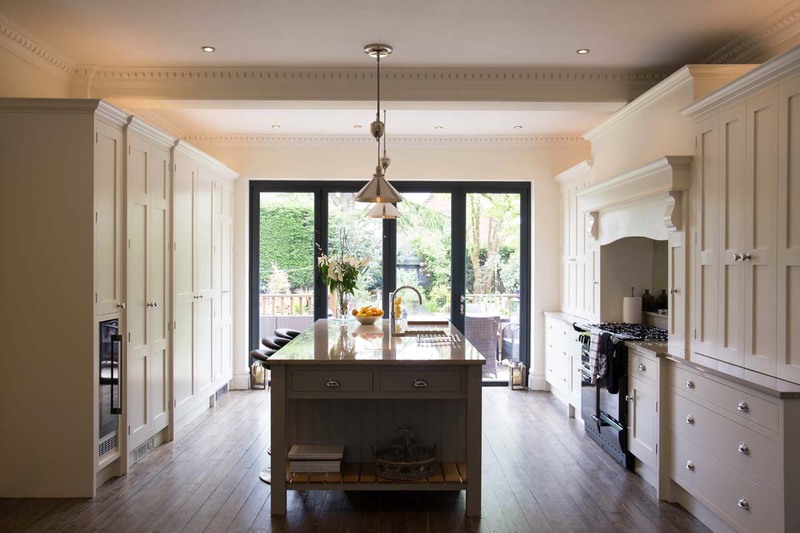 The longer cabinet design is also deceiving, making your kitchen look that little bit bigger. Maximizing space is an art and it can take some getting used to. The simplest way to create more free space in a room is to get rid of things that you really don’t need or use. Be brutal and feel cleansed as you tidy! When used in conjunction with our clever ideas, you’ll be surprised how much extra space you can create in your kitchen.